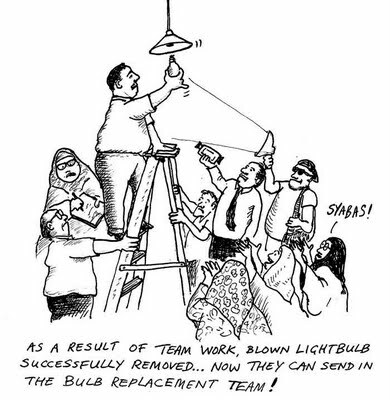 SeniorsAloud: THE CIVIL SERVICE - THE NEW UNTOUCHABLES? The civil service has been in the news of late - for all the wrong reasons. According to the Public Service Department, in the first three months of this year, about 600 civil servants faced disciplinary action for misconduct. That's a 43.16% jump compared to the same period last year. Misconduct covers a wide range of offenses including drug usage, truancy, bribery, fraud, and more recently, making offensive racial remarks. If we were to throw in inefficiency, arrogance and rudeness as misconduct, the percentage would be even higher. What I find appalling is the leniency of punishment meted out to the guilty. 40.3% were given warnings; while 20.9% were fined. Only a small number were demoted or fired. The favorite disciplinary action is to transfer the guilty party to another department or town. What's to stop the miscreant from repeating the offense there? When asked why no action has been taken against two school principals for allegedly making racist slurs, the number 2 most powerful man in the government said cabinet ministers cannot sack or suspend any civil servants who are categorized as "permanent government officers". That is like giving these officers free rein to do whatever they want. And what does the number 1 have to say about the matter? Nothing. 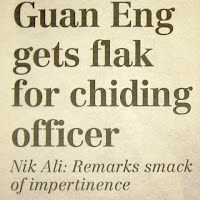 You just can't touch these senior civil servants as Chief Minister of Penang, Lim Guan Eng, recently found out when he chided an officer for incompetence over the handling of an alleged sand theft case. 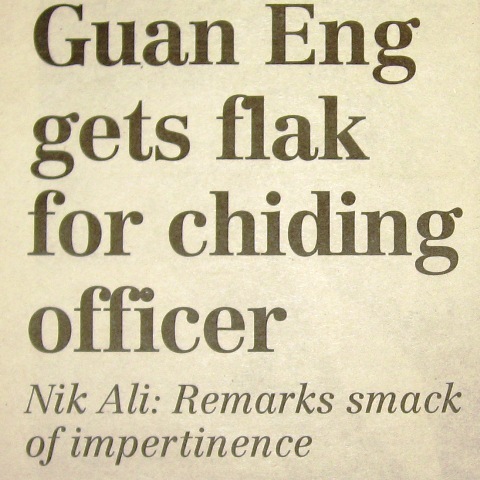 The officer shot back accusing the minister of impertinence and of being hostile to civil servants. Not when it comes to our civil service. It must be the most bloated in the world considering our population is only 27 million, yet we have 1.2 million civil servants. You would expect a high level of efficiency given the numbers. Well, far from it. We all have stories to tell of our less than happy encounters with civil servants. The Immigration Department is an exception and deserves our praise for raising the bar in efficiency. I suspect one of the reasons for our inflated civil service is the government's willingness to absorb the hundreds of thousands of unemployable graduates and drop-outs. It is good PR for the government to be able to say that unemployment is 'under control'. Doesn't matter that it has now created a new problem - underemployment! Let's not forget the huge financial burden of supporting these 1.2 million civil servants in terms of salaries and pensions. No wonder the government is all for raising the retirement age! As taxpayers, we can grit our teeth and bear the cost, but at the very least give us some decent service in return. Is that too much to ask for? 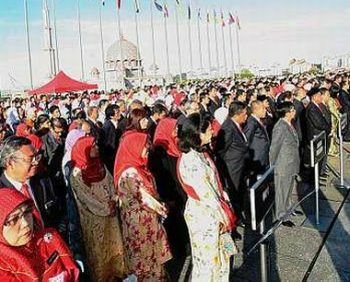 The Chief Secretary to the government, Tan Sri Mohd Sidek Hassan has sounded the clarion call - "Change We Must", and the PM has repeatedly emphasized "People First, Performance Now". Will their words fall on deaf ears and closed minds?